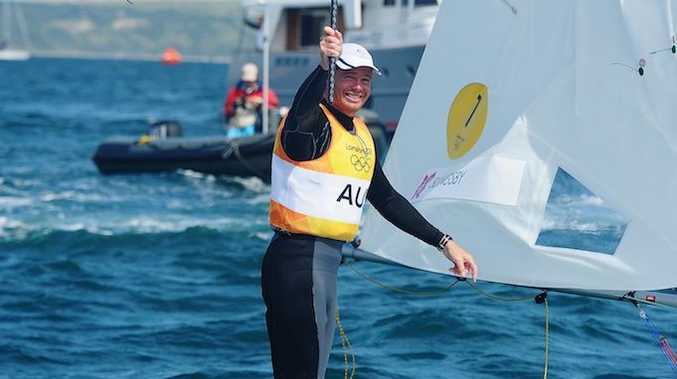 AUSTRALIA has finally claimed its second gold medal after sailor Tom Slingsby outlasted the competition in the men's laser category. Scoring the best results out of 10 rounds, Slingsby took control of the competition heading into today's final race. And despite finishing in ninth place in the final round, Slingsby did enough to secure his first gold medal, and his country's second at the London Olympics. 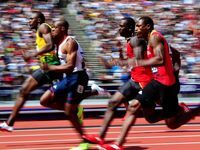 A jubilant Slingsby said it had been a long road from the disappointment of missing medal glory in Beijing. "The Olympics is the dream, the pinnacle of sport," he said. "Ive worked so hard ... I was naturally talented but wasn't very professional. "I'm the happiest man on the planet." Cyprus' Pavlos Kontides finished in second position, and along the way created a slice of history, claiming his country's first ever medal at the Olympic games. Sweden's Rasmus Myrgren finished in the bronze medal position.